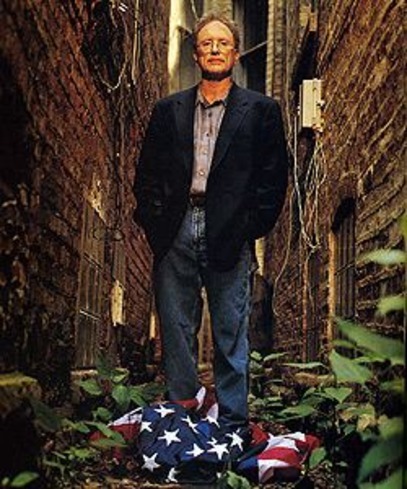 The domestic terrorist, Bill Ayers, still wanted for questioning in San Francisco in the bombing death of a police officer, spoke at Montclair State University in New Jersey Thursday night. Tea Party activists made up at least half of the audience and questioned Ayers on a number of issues. The most startling revelation of the night was his claim that he wrote “Dreams from My Father”, Barack Obama’s first book. I think [Dreams] was a very good book, but [Obama’s] second book is a prize example of political hackery. And by the way, I wrote that first book. You help me prove that, and I’ll split the royalties with you. More coverage here and here. This is not the first time Bill Ayers has claimed to be the author of “Dreams of My Father”. He made the same claim in October of 2009!